Knee pain can come on suddenly or develop slowly. It can be related to inflammation, such as in arthritis. Or it can arise from surgery, or direct knee injury. However, indirect injuries to the ankle and foot are one of the most frequent contributors to knee pain. Because of that, I will do a thorough assessment and treatment, to get you moving again. Yet some knee issues will still need to be treated by other professionals. Most of the knee pain I treat comes from injuries. I have found Ortho-Bionomy®, neuromuscular therapy and targeted exercises work quite well for most issues. However, some conditions, such as severe sprains or meniscus tears require doctors or physical therapists. →Is it just knee pain, or also ankle instability? Knee pain may follow an old ankle injury. Did you sprain your ankle in childhood and ignore it ever since? Or is it unstable from repeated sprains? Perhaps you have no sensation, but it rolls under when you walk on uneven ground? →Recent sports or athletic injury?Doctors used to recommend the RICE method–Rest, Ice, Compression and Elevation. But that is changing. Current research encourages you to move your knee as soon as possible, to increase circulation and prevent stiffness (see, Rethinking RICE). →Knee sprain, a.k.a. ligament injury? A sprain is an injury to a ligament, the small dense tissues that help to stabilize a joint. Knees have many ligaments. Each has specific functions and directions of movement. When you have injured one, various muscles may tighten to limit movement and prevent further injury. So I work with ligaments, bones, muscles and movement. And your awareness of sensation in all of these. The purpose is to create a sense of safety, so that your body and brain can let go of tension on their own. A bursa is a fluid-filled sac. A synovial bursa protects tissues such as bone, muscle and tendons, around a joint. It decreases the friction of rubbing as these tissues move against each other. 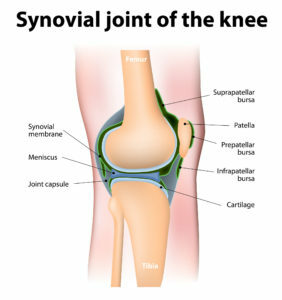 Although synovial fluid lubricates joints, a synovial bursa can sometimes become inflamed. The most common causes of knee bursitis are frequent kneeling, sports, or impact from a fall. Movement and massage have helped knee pain from osteoarthritis. One research study showed that over eight weekly visits, patients showed “significant improvements in pain, function, and global response” (Massage Therapy for Osteoarthritis of the Knee: a randomized dose-finding trial). Massage and movement exercises can also help you at home: Effects of Self-Massage on Osteoarthritis of the Knee. Those people moved more easily, with decreased pain and stiffness. Integration Massage aims to have you experience these same benefits. After treatment, I teach you how to continue the benefits at home. 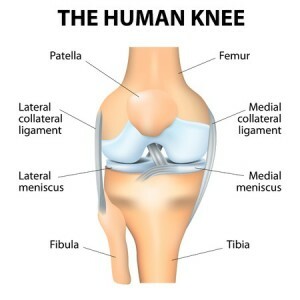 If you indicate pain in the area of the meniscus, I first assess how you move. I may recommend a doctor. Perhaps your doctor has already diagnosed a meniscus tear and said you don’t need surgery? Then my goal will be to relieve your knee pain, improve pain-free movement and increase circulation. I may ask: Was it a knee replacement? 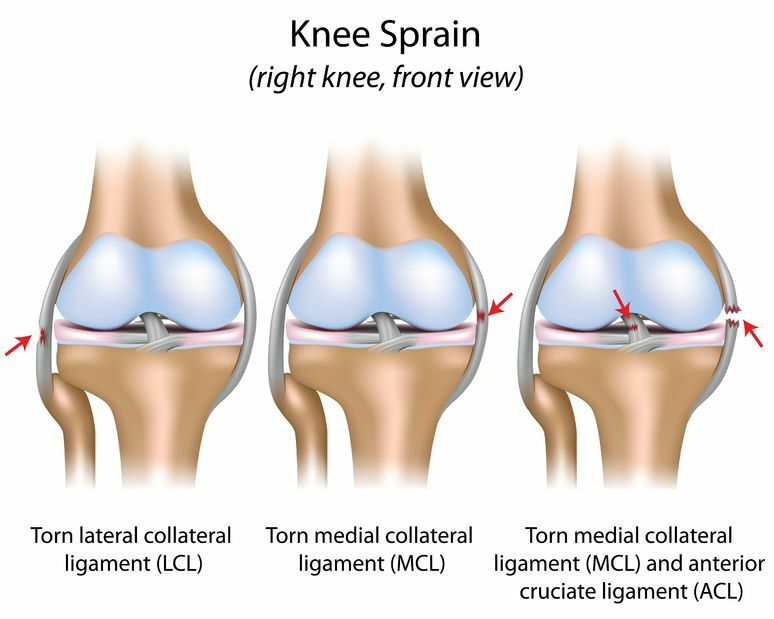 Was it surgery for a fracture, meniscus tear or ligament? Does it get more painful after you have put weight on it? Is there still swelling? Are you still getting physical therapy? I have had training in post-surgical treatment of knee pain, but I recommend you complete most of your physical therapy first. 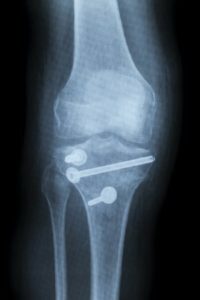 For total knee replacement, I find where you are in this timeline: Total Knee Replacement Surgery Rehabilitation Timeline. What will it take to jump for joy again? Don’t give up on that joy! Please call with any questions: 503-708-2911. Or write comments or questions below. Ortho-Bionomy® is a registered trademark of the Society of Ortho-Bionomy® International, and is used with permission. This entry was posted in Chronic Pain, Healing, Injury recovery, Ortho-Bionomy® and tagged athletic injury, exercises, injury, knee pain, leg pain, massage, muscle, muscle contraction, pain relief, sports by Integration Massage. Bookmark the permalink.